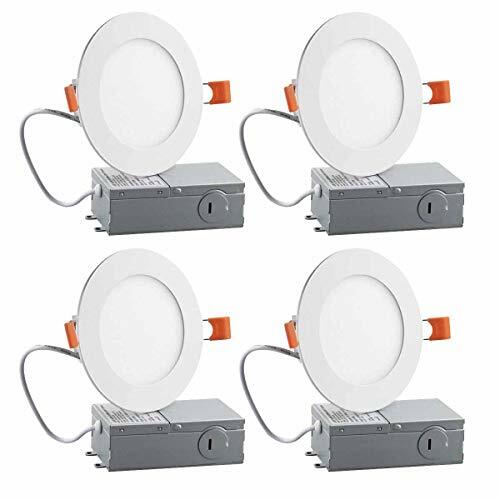 LoniaLED LED Downlight is the easy, maintenance free solution to indoor applications such as closets, kitchens, hallways, doorways, basement etc. Hotel, cafe or other architectural lighting. Living room lighting, dining room lighting, bedroom lighting. Artwork lighting, mood lighting, shop-windows, general lighting. 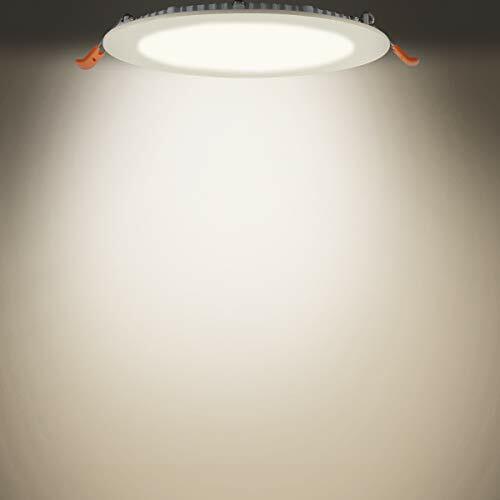 Ideal for illuminating homes, offices, workplace and children's rooms. 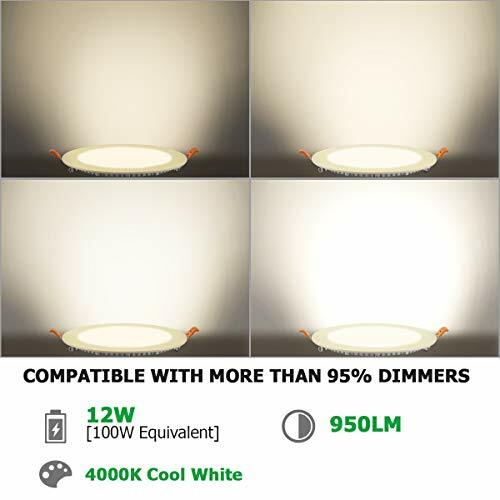 【DIMMABLE】- Compatible with most LED dimmers, allow you to customize your ambiance in every room. 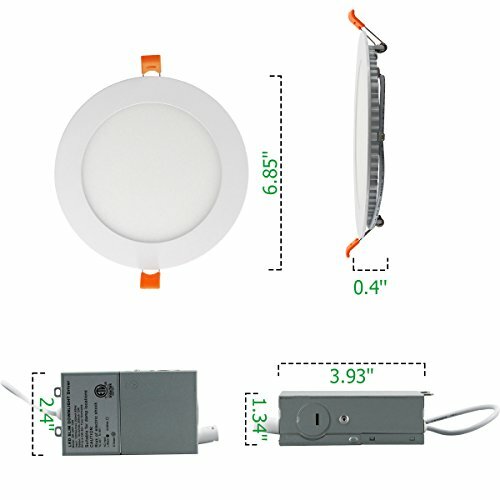 【ENERGY SAVING】- This 12W LED Downlight is energy efficient, 80% less power consumption , save much on electricity bill of lighting. Reduce unnecessary power wastage. 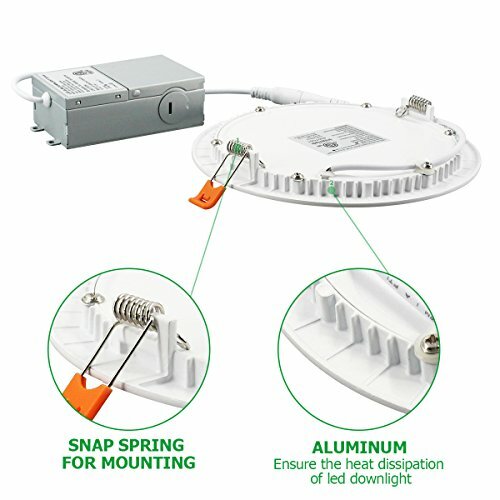 【EASY INSTALLATION】- Connect the provided J-box to the light using male/female cable and use spring clip to fix it on the ceiling, hassle free, install in seconds. 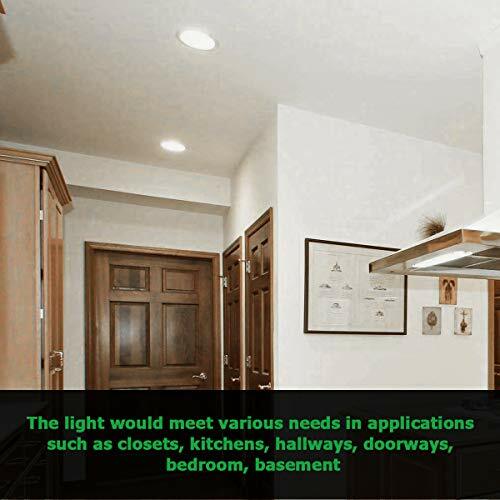 【WIDELY APPLICATION】- This LED Recessed Lighting would meet various needs in applications such as closets, kitchens, hallways, doorways, basement etc. 【SATETY & DURABLE】- ETL certified for your safety. 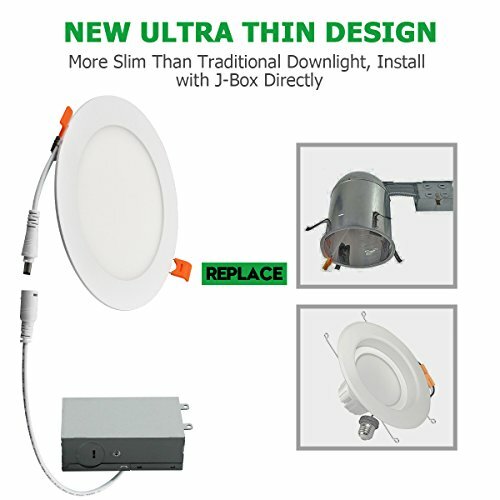 High quality light, over 50,000 hour lifespan. They are very durable. 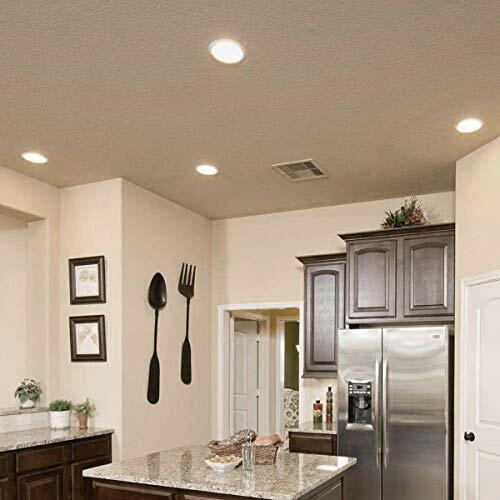 Lasting and consistent performance for the light to come, no more frequent replacing and maintenance.